Well, why do they? It’s the kind of question only those who don’t do it would bother asking. I admit I’m one of them. The lottery is a mystery to me – self-evidently daft, like a slow-motion version of taking a pile of cash and setting fire to it. Why would anyone do it? One way of answering this kind of question is presented by science journalist Jonah Lehrer: let’s ask some behavioural economists! In two experiments conducted with low-income participants, we examine how implicit comparisons with other income classes increase low-income individuals’ desire to play the lottery. In Experiment 1, participants were more likely to purchase lottery tickets when they were primed to perceive that their own income was low relative to an implicit standard. In Experiment 2, participants purchased more tickets when they considered situations in which rich people or poor people receive advantages, implicitly highlighting the fact that everyone has an equal chance of winning the lottery. 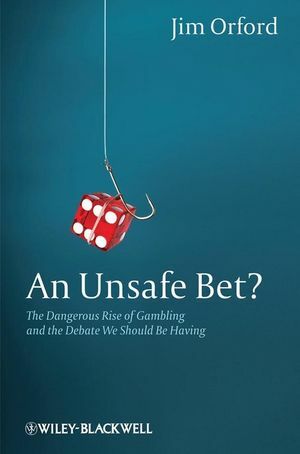 Jim Orford has a book out entitled An Unsafe Bet? The Dangerous Expansion of Gambling and the Debate we should be having. In it he identifies eleven commonly used discourses of gambling. Of these six discourses broadly support the liberalisation of gambling and five support the increase of restrictions on gambling. Orford is fairly relaxed about this typology and even says: ‘Other people would no doubt produce a different list’ (123). This to Fourcultures is as a red rag to a bull, so here goes. For my money, Orford’s typology lacks explanatory power. Why do some people want to restrict gambling? Because they see it as ‘a destroyer’. But why do they see it as a destroyer? Because it is, of course (at least to them)! So why do other people want to liberalize gambling? Because they see it as ‘freedom to choose’. But why do they see it this way? Because it is of course (to them, at least). The elements of gambling discourse identified by Orford can be usefully organised around the framework of Cultural Theory’s four cultural biases. These actually explain where these kinds of basic commitment (‘it just is!’) come from and how they coalesce with other basic commitments. For Fatalism the luck of the draw is how the world works. So gambling is ‘normal business’ and ‘harmless entertainment’. But more than that, it’s a ritual enactment of a very deep seated insight into the nature of the universe. Blind chance rules all and we’re fools if we think otherwise. Gambling enables us to become more exposed to the elemental forces of the universe. Anti-gambling messages that point out how pernicious gambling is will fail dismally here. Of course the world is pernicious. Tell us something we didn’t know. For the Individualist cultural bias, gambling is a legitimate means of making money from people who choose freely to gamble. It’s certainly a means of ‘cultural and economic enhancement’ and it would be irresponsible to let the opportunity to profit go to waste. Anti-gambling messages risk failure here too unless they appeal to the financial benefits of restricting gambling (in other words, how can businesses make a profit if they don’t invest in gambling?) Further, they need to reckon with the reality that Individualism sees risk not as a problem but as an opportunity. The greater the stakes, the greater the reward. An ‘unsafe bet’ is the only kind worth making. For the Egalitarian cultural bias, gambling is immoral, destructive exploitation. Worse, it is an affront to the Egalitarian ideal of equality of outcome. Gambling should not need to be regulated. Instead people should have a turn of heart, a change in values, which would help them see for themselves that it’s just ‘tawdry’. Anti-gambling messages are often explicitly egalitarian in tone, which is very off-putting in institutional contexts that are not Egalitarian. The trick, as you probably realise by now, is to match the message as much as possible to the cultural bias of the hearers. The Hierarchical cultural bias sees gambling as an opportunity for striking the correct balance between destruction and harm, exploitation and profit, restriction and permission. The more bureaucracy the better. Gambling itself may or may not be rational behaviour. What matters is that the regulations surrounding it are rational. Gambling is not intrinsically responsible, since nothing is, but it can be made responsible, normal business by following the rules [note that without the rules in place, gambling becomes irresponsible and abnormal]. In a hierarchical context the anti-gambling message is heard as a marvelous opportunity to increase regulation, and therefore to increase the prestige of the entity doing the regulating. Gambling reformers should note that whereas they themselves may want social change, they will find themselves – if they’re not careful – being offered more red tape instead. In summary, gambling discourses are not simply polarised: pro and con, liberalisation versus restriction. Instead, gambling is a social field in which the claims of the four cultural biases identified above are contested. This well-established typology can help us to answer the question I started with: why do people gamble? In short they do it in ways that tend to confirm their cultural worldview. But more than that, it can help us make sense of the subtle ways in which society organises itself around the practice of gambling.